Regardless of who you are, life can be overwhelming at times. There is always something to be done, something to be cleaned, and something to be repaired. If you’re tired of feeling overwhelmed, now is the best time to downsize and reclaim control of your life. Starting the downsizing process now, as opposed to later, will help you begin to eliminate some of the stress in your life. However, once you find the home of your dreams, moving becomes the most difficult aspect. You need to sort your possessions to decide what you can give to family, sell, or donate. You also need to research moving companies ahead of time. This gives you the opportunity to compare pricing and contracts while checking reviews. Make sure you get a walk-through and that your deposit, should you need one, is minimal. 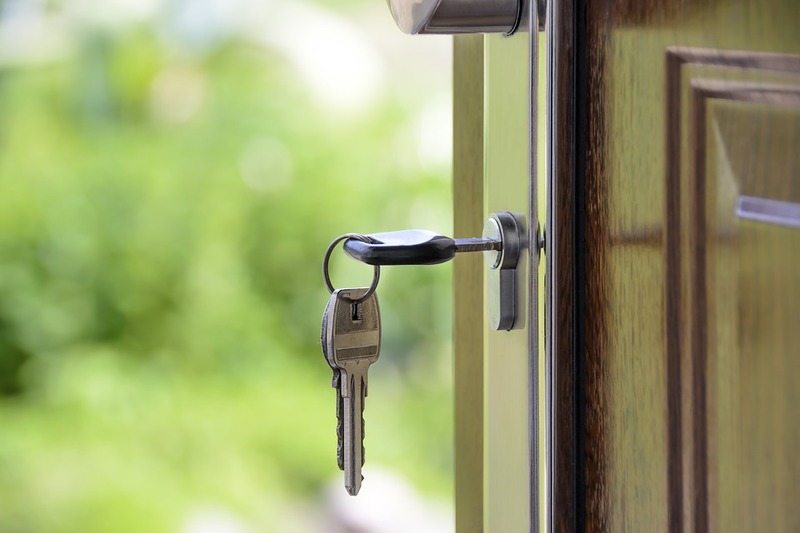 One of the most persuasive factors in downsizing is the amount of money you can save. 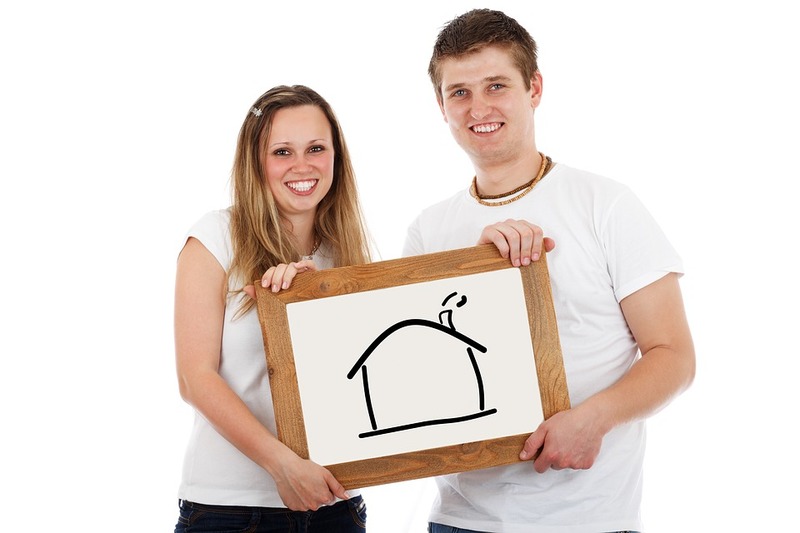 Most of us realize that when we sell a larger home, we can pay off a smaller one outright. Even if you don’t cover the entire cost, having a sizable down payment will mean less interest in the long run. Yet, that isn’t the only way you could conserve your finances. Utilities should be minimized in a smaller home as it will use less energy to heat and cool. You may also save substantially on home insurance and property taxes, depending on your state. Large homes can seem luxurious, but they end up eating away our precious free time. Many of us are lucky if we only work a 40-hour week. In fact, most of us work over that amount. As such, our leisure time is limited and precious. Instead of taking time to clean and maintain a large space, a small home is easy. When you live in the space you need, rather than the extra we have all been told to want, you end up with more time. Think of how long it takes to mow a big lawn. If you cut that lawn in half, you can commit those hours to something you enjoy. When we have too much space, we tend to put things where they are convenient, rather than where they should be. If the stapler belongs in the office, but we use it in the entryway, we may just leave it. This can accumulate and create clutter and chaos. It’s hard for our minds to relax when we live in a disordered environment. We feel guilty for not cleaning up, and even our creativity can suffer. When we live in a smaller, more contained space, we have an easier time keeping things organized. This allows us to truly enjoy the time we spend in our homes. Have you always wanted to live in the center of a city? It can be impossible when we look for giant homes, but it could be downright affordable if we scale down. There may be many benefits to living in a new area. This is your chance to give yourself what you have always wanted. A shorter commute? Better schools? More diverse culture? Near the beach? When you downsize, you have the opportunity to live the life of your dreams. Living large does not mean living well. Smaller homes can offer luxury the way McMansions just can’t. When you have relatively small square footage, you can afford your ideal flooring. You can install smart tech in every room. There are fewer pieces to decorate, so you can buy what you want without compromising. You don’t need to be limited to the indoors, either. You can add a deck or veranda to extend the living space you have while enjoying fresh air and sunshine. We all deserve simplicity. Having less to clean, look after, and maintain can free up more time than you realize. Not only that, but the money you save by doing so can also be life-changing. You’ve probably heard the saying, “Home is where the heart is,” and it’s true. But, if you and your significant other are taking the next step and moving in together, it will take some work to make your house a home. Two personalities, styles, and preferences are coming together—and the two of you have to find a way to make them mesh that doesn’t involve dividing the house down the middle. The following are just a few tips to get your home organized, decorated, and settled so you can enjoy this new chapter. No one likes to get rid of their things, but trying to fit two people’s worth of stuff in a home can be overwhelming, at best. A pre-move purge is a must for both of you. First, start by going through each room and separating items into keep, donate, sell, and trash piles. Once you’ve narrowed down your things, the two of you can come together and decide on duplicates, such as whose cookware, appliances, bedding, and furniture you’ll keep. You don’t need six frying pans and two mismatched couches. These decisions can be difficult, so if there are a few items you can’t agree on, put them in storage until you figure out what to do with them. The overall average price of a self-storage unit booked in Los Angeles, California over the past 180 days is $144.76. This is also a great place to keep items until you figure out the layout, as well as anything you don’t have room for now, but could see a future use for. Remember, a cluttered home isn’t cozy—it’s chaotic. This should be your mantra when it comes to home décor. Be sure to measure everything. By taking measurements before you bring items in, you might find your significant other’s loveseat is a way better fit than your bulky recliner. Make a conscious effort to use every inch of space wisely, as organization is an area couples tend to disagree on. For example, kitchen counters that serve as a drop zone could be your breaking point, while your significant other can’t stand a cluttered bathroom vanity. Make rules, but be willing to communicate and compromise. It may be helpful to look for versatile items that can serve multiple purposes. For example, if you insist on having piles of throw pillows and blankets accessible, but your partner thinks they are excessive and should be out of sight, meet halfway: For only about $100 you could get an ottoman that comes with built-in storage—a neat yet convenient place for those comfort items. Designing and decorating a new home can be stressful. You could hire a professional interior decorator, though the average hourly rate can be as much as $500, according to Houzz. If you’re on a tight budget, though, don’t worry. There’s plenty of accessible (and free) advice online about designing and decorating a new home. The two of you likely have completely different styles, which is why interior designer Sara Costello recommends painting walls a non-color such as white or cream. “With those non-color colors, you can weave in a palette that is masculine and feminine,” Costello said. Then, add pops of color via wall art, accent pillows, and various decorative items. If you have your own décor you are bringing in, incorporate it slowly, and make sure you both agree on it. Taking over the space can quickly lead to an argument. If you will be shopping for new furniture pieces, décor, or even something as simple as new bath towels, be sure you make purchases together so that one individual’s style doesn’t shine through more than the other. Above all else, be kind and understanding toward one another. This is a huge change for both of you, and there will likely be arguments and disagreements. But at the end of the day, you are in it together. Take your time, go slow, talk often, and enjoy the ride! If you have often found yourself frustrated at the clutter building up in your house, you’re not alone. According to Time, the single biggest pet peeve amongst homeowners is lack of storage space. Storage is essential to having an organized home, which in itself is important for our mental health and well-being. These four tips will help you fight clutter by allowing everything in the house to have its own place without having to spend a fortune on new furniture. Big shops have regular sales throughout the year, but you can’t always wait until the next one comes around to buy what you need. Even if you could, it can be difficult to get the best possible price without losing out on the deal. This is why the internet is your best friend when it comes to home shopping. There are plenty of coupons, discounts, and cashback programs available for online shopping, so never buy without checking a website like Ebates, which offers discounts and deals on stores like Bed, Bath, and Beyond, where you can find stylish storage solutions that match your decor, regardless of the project. How much vertical space are you currently ignoring or underusing? Many of us have plenty of bare walls that are just begging for some shelving and extra storage space. Shelves are one of the easiest DIY projects to undertake, and can often be made for little to no cost using upcycled materials such as boxes, wooden furniture, and even belts. Don’t be afraid to go high up with shelving near the ceiling or above door frames — you can place things here that you rarely use, such as boxes with important documents or Christmas decorations. If you want to purchase shelving without having to do it yourself, save money by taking advantage of cashback offers and online sales for stores such as Crate and Barrel. Storage on wheels is a great way to utilize small spaces without sacrificing convenience and ease of use. Being able to roll out hidden storage makes using it a breeze, so you don’t have to struggle with lifting, pulling, and dragging boxes across the floor when you need something. Rolling boxes for under bed storage can be bought for quite cheap or made from simple wooden boards, which are perfect if you have some left over from another DIY project. Similarly, a roll-out pantry can be the perfect solution for that narrow gap many kitchens have next to the fridge, and it is also easily made with cheap materials. If you are intimidated by the idea of building something from scratch, you can ease yourself into things by “hacking” existing furniture to boost its storage capabilities. This usually involves more basic DIY skills and has less of a chance of going wrong since you are not making big changes to the structure of the furniture itself. IKEA furniture lends itself particularly well to hacking due to its assembly methods. This is why a whole community of IKEA hackers exists online to share tips on how to transform their flat pack furniture into something unique. This often involves taking a cheaper piece and making it look more high-end or simply changing its design to suit another room and use. 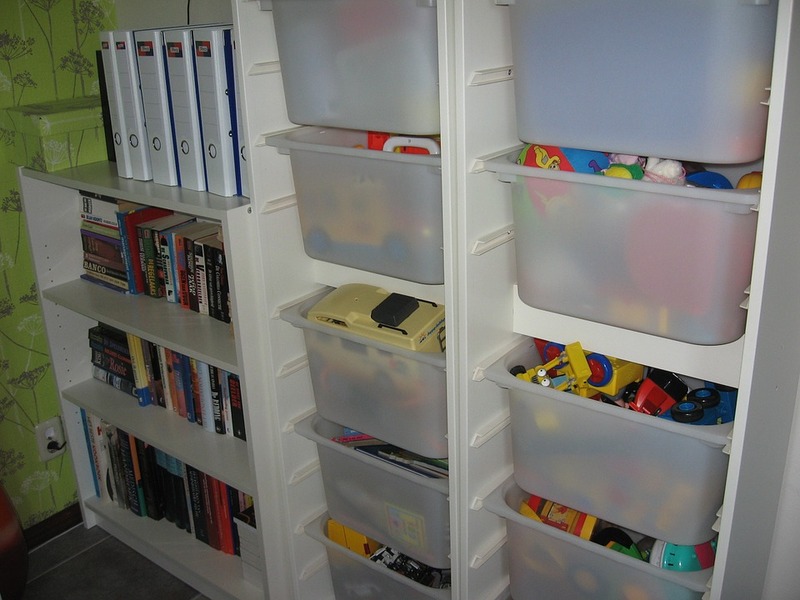 Check out some great ideas for low-cost storage IKEA hacks here. You can also save money on IKEA products by searching through money-saving sites like RetailMeNot. With these solutions, storage doesn’t have to be a problem in your house anymore. You can now say goodbye to cluttered, stressful, and cramped rooms that are hard to navigate and even harder to relax in. Forget spending money on wardrobes and cabinets that feel bulky and out of place in your rooms. A bit of creativity and flexibility can help you fit easy, cheap, and simple storage solutions into your space in a way that feels seamless and unintrusive. To Follow DIYMama Erin Reynolds, click here!